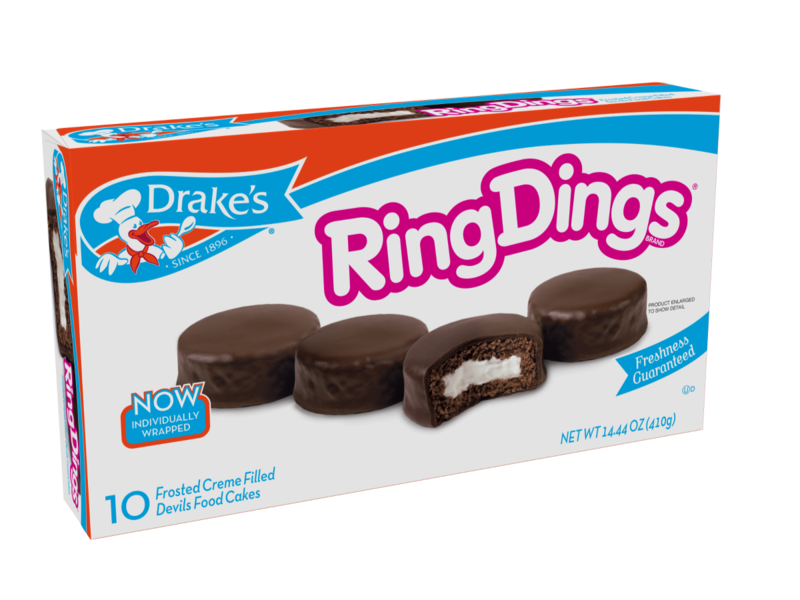 Drake's Ring Dings: BEST OF AMERICA'S SNACKS! Drake's Cakes has been treating Americans to Ring Dings since 1958. Not to be confused with Hostess Ding Dongs, Ring Dings consist of moist devil's food cakes stuffed with fluffy vanilla-flavored creme and enveloped in rich chocolate frosting. Biting into one of these darling confections is like digging into a slice of luscious, homemade chocolate cake from a doting grandma's kitchen. The unbeatable combination of cake, creme and frosting make these classic treats one of America's best snack foods, so go ahead and propose to yourself with some Drake's Ring Dings!